Would you be mad if I did another nail post? If you answered, yes - look away now but you're gonna miss a beauty. I picked this up last year on one of my first trips to Sally's. Just on a whim as I didn't have anything other then a midnight blue. 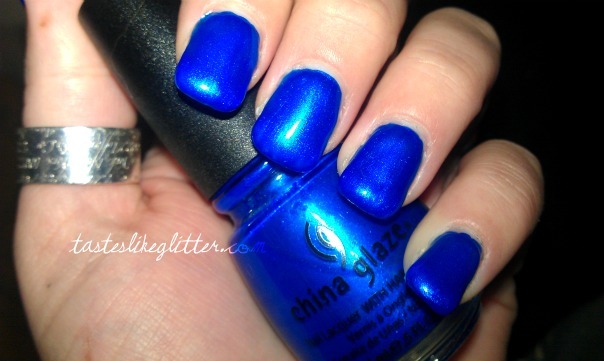 In the bottle it looks like a regular royal blue. 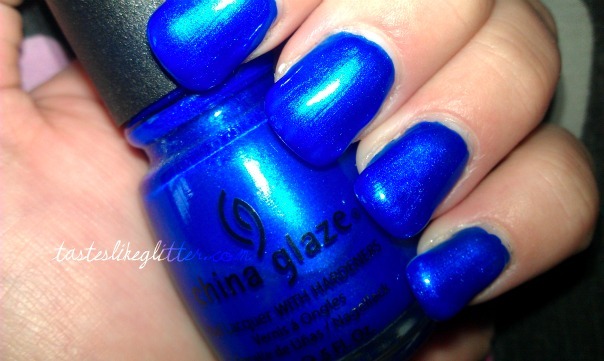 But when you put it on the nail it explodes with delightful hidden shimmer that really brings something special to the polish. 2 coats, without a top coat. Isn't it wonderful? This is the perfect middle blue. It's right between a pastel and a midnight blue and it is gorgeous! 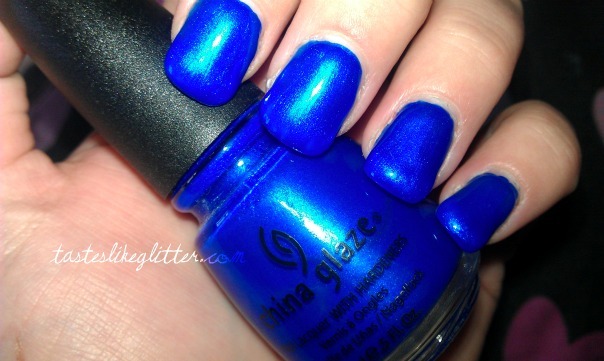 Sally's keep it in the permanent few China Glaze's they stock all the time. So if you can pick it up, do. You won't regret it.